Has somebody taken the donkey work out of getting vocal takes in sync and in tune? 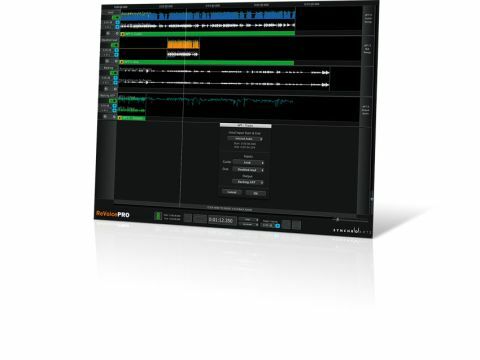 If you can handle its workflow (and price), Revoice Pro is an incredible useful vocal doubling and manipulation tool. Stunning doubling Mix previewing. High degree of tailoring. Huge time-saver. Some handy shortcut keys. Not the prettiest app. Slightly convoluted workflow. It might be straightforward to shift the timing and pitch of vocals these days, but the process itself is still labour-intensive for full vocal tracks. Synchro Arts aim to change that with Revoice Pro. Based on their acclaimed VocAlign plug-in (which deals with aligning vocal timing, but not pitch or level), Revoice serves two main purposes: generating doubled vocal tracks; and enabling you to take one vocal track and apply its timing and tuning to another. "Revoice can take a mono or stereo track and generate totally convincing doubled tracks from it"
The interface looks like a simple DAW, with audio tracks laid out in a vertical stack, each with level and pan controls. Multiple windows can be open simultaneously - handy for dealing with, say, chorus parts and verses separately. Let's look at doubling first. Revoice can take a mono or stereo track and generate totally convincing doubled tracks from it. It subtly varies a clever combination of characteristics, so that there's no unnatural phasing, and you can also control the timing, vibrato and formant. To pile up convincing layers, simply double the doubled tracks. It even works well on some instruments. Revoice's main event, though, is Audio Performance Transfer (APT). This miraculous process lets you take the timing, tuning and loudness characteristics of one vocal take and apply them to another, the obvious use being matching multitracked vocals. You decide which of these parameters to match, by how much, and when. Protected areas can be defined in which no processing takes place, which is particularly useful for breaths. And each of Revoice's key parameters has its own 'tightness' control, so you could have the timing very tightly matched, but the tuning less so. Another benefit is that the unnatural precision you often get by meticulously tuning and tweaking vocals in other software is less obvious in Revoice Pro, as it doesn't try to tune the audio to an objective scale, but rather a real-world guide track. However, if you've squeezed the life out of the guide track beforehand, the APT-processed takes will be similarly clinical! "One of its most useful features is that it allows you to shift the matched track to exactly the same notes as the guide"
It's simply impossible to overstate how much easier Revoice Pro makes all this stuff than manually tweaking notes using something like Melodyne, particularly when working with multiple tracks. One of its most useful features is that it allows you to shift the matched track to exactly the same notes as the guide (potentially moving it up or down an octave or two), or to match the notes but leave the track in its original register. We tried this on a female vocal harmony group and it worked a treat, but it could also be useful for copying the tuning and timing of a male vocal to a higher female vocal. There isn't much we don't like about Revoice Pro. The interface, although effective, is a little unfriendly and likely to split opinion. Sometimes the menu workflows also feel rather convoluted. And, of course, if you don't regularly work with vocals, then Revoice Pro isn't something you should even entertain the idea of buying. If you record vocals (particularly multitracked versions) or regularly work with them on remixes, however, then this is an application that can open a lot of creative doors and save you huge amounts of time. That said, it isn't a budget investment by any means, so do be sure to try the demo before hitting the Buy button.